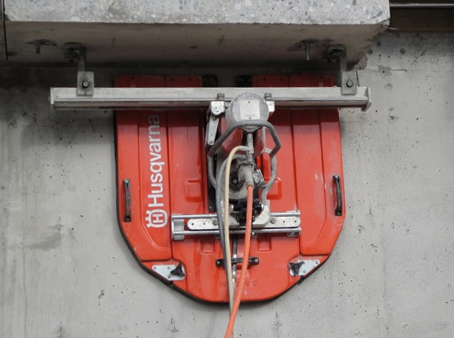 Wall sawing is ideal for cutting,any concrete wall and cuts up to 28″ deep with access from one side. It can be used to flush cut as well as bevel cut and can be suspended upside-down to cut slab. Electricity is used to power this saw, power is supplied with a 3-phase generator located in the work vehicle eliminating environmental hazards like hydraulic fluid leaks. From concrete cutting and coring to GPR or ASPHALT SAWING, we have the experience and the EQUIPMENT to ENSURE your infrastructure, industrial, commercial or residential job IS done on time and WITHIN budget.